I agree with all of this, and I think a big part of it too is having the behind-the-back camera angle. We've kind of gotten over the newness of running and jumping around in a 3D environment for the hell of it at this point anyway, right? Nope. Give me a running around in a 3D world with the controls and joy of Mario 64 any day. It's not about it being new, it's about it being FUN. Where's the discovery? You follow the ugly brown road. I'm not saying don't ever do the old old Mario format of linear path collecting coins along the way. Cool, sure, fine. But we've had like six of those now in a row and only one real "explore" kind of Mario game, and it was arguably the BEST Mario game when it first introduced Mario to the world of 3D movement. Let's have some balance here. Enough of the same thing over and over again, with a different gimmicky twist. Cat suit was fun, but give me no-suit and a world to actually poke around and explore. @-JKR- I have a friend on the PS1 who you may want to talk to. He has 92 levels between his 3 games that fit your criteria. Sounds good! 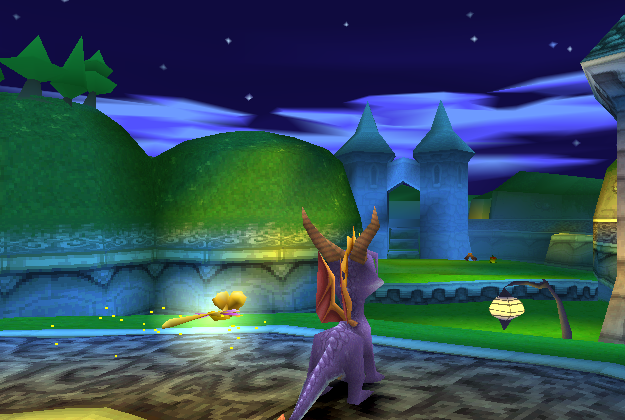 I never got into Spyro back in the day, maybe it's time to take a trip to the used game store? Or I can go play Banjo Kazooie for the 40th time, lol. Which Spyro should I start with? The thing about the 3D platformers that the other guys make is that they don't seem to understand that it is important to make the character that you play as fun to control. I mean, I spent hours in games like Mario 64 and Sunshine just messing around without any real objective. So you have other good 3D platformer series out there that are very well designed, but they can't live up to Mario when they are lacking in this department. Of course, I think that was always true of many 2D platformers as well. After the success of Super Mario Bros, there were countless platformers from so many companies, but few bothered to make sure that actually controlling the character was fun before they started cranking out levels. Sonic the Hedgehog really deserved its early success, because Naka and his team understood this. It feels so good to play these games because they actually have deep, unique game physics. WORD. I was always baffled when people would say that Sony had three better platformers than Nintendo in the Gamecube era. Even in his darkest days, Mario was way more fun to manipulate. Jak steered like a tank, Sly was floaty and sticky, and Ratchet was barely even a platformer. That's my other pet peeve. A game being called a better "platformer" than another when the actual platforming is markedly worse. Everything in those days was a "3D platformer". Was Contra a platformer? Was Mega Man? Was Castlevania? Giving a character the ability to jump does not a platformer make. Heh, like when people call The Legend of Zelda an RPG series. Annoys me too. @-JKR- I'd say the third or first ones. @Hinph Spyro does extremely well in that regard. That's why I was so disappointed by Little Big Planet and haven't touched the franchise since the first game. The controls were too floaty and the game just felt off in the control department. It was beautiful and charming but I did not enjoy the physics. And that is hugely important in a platformer. I'd prefer that we don't even though I think highly of both Super Mario Galaxy games and Super Mario 3D World. I don't want to see major elements from Super Mario games being repeated too often. Instead, I'd like to see different kinds of innovations, settings, and surprises as this series continues since those are what made the aforementioned sub-series so appealing in the first place. That said, I'd like to see another Super Mario game that puts an emphasis on non-linear exploration. I'm still hoping for a "Super Mario Universe", that combines the best of the early 3D Mario games with the newer ones. Where one "Universe" stage would be akin to the large open-ended stages of Mario 64 and Sunshine, but with areas connected by multiple "galaxies", which would be your more typical linear platforming style. That might be my dream game, and it'd be awesome if that's the direction they go in next. I think 3D World's existence on Wii U was largely the byproduct of needing to get a flagship Mario game out, and quickly. I'm hopeful that the team is working on the next big, truly next-gen 3D Mario. That sounds like a fantastic idea to me. Why not an objective based Mario game with a whole lot of linear levels thrown in as well? Best of both worlds. 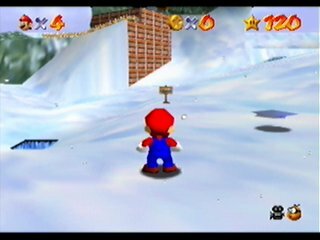 Like imagine if Super Mario Sunshine had a hell of a lot more linear, non-Fludd challenges instead of those blue coins for the additional stars? I could get behind an idea like that for Mario. I'd just be concerned that a hybrid jungle gym/linear game might feel a little schizophrenic, as the closest thing we currently have to that is Sunshine. But I'm cool with Nintendo going all out and trying something like this to see if it works. I'm there for 3D Mario no matter what. Yeah... really, I've liked every 3D Mario game so far. The series is in excellent hands. Yes, I think we can all get behind a bigger, better Sunshine with an actually menacing final boss. Come on, Nintendo, make it happen.